Most people know Chuzzle as the tile-matching video game that can be played online or on mobile devices. 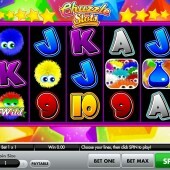 However, the technology company Gamesys have released a slot game in a very similar style and called it Chuzzle Slots. Those cuddly little fur balls 'Chuzzles' are all over the reels and can prove to be rewarding from time to time. There are three simple bonuses in Chuzzle slots, which have various levels of potential wins. Possibly the most frequent is the free spins bonus, which is called the Chuzzle Parade Bonus. This is where some real bonus prizes can be won with free spins and multipliers up for grabs. Land three or more of the free spins bonus symbols to release 10 free spins. 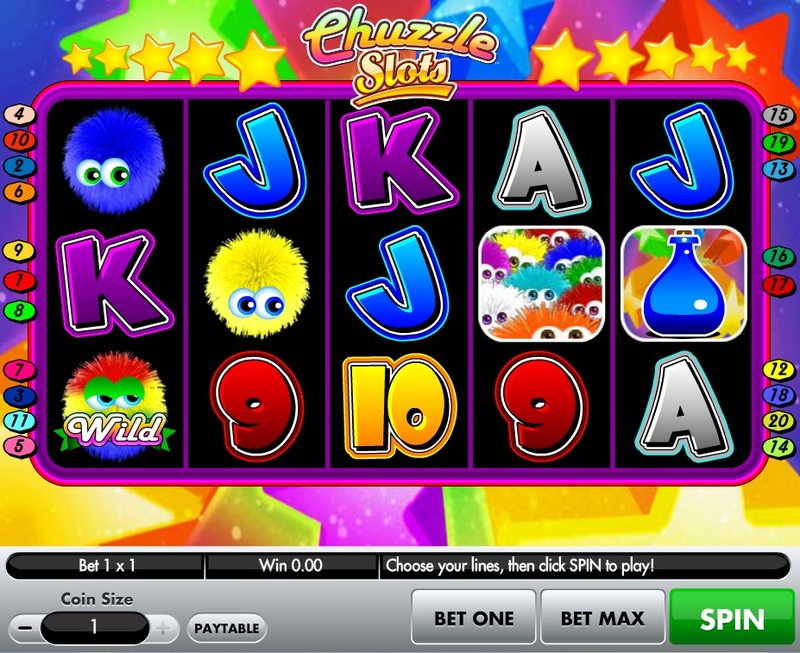 After the free spins has completed you will get to choose a Chuzzle character to reveal a multiplier. I normally get between 2x-6x whenever I pick. The Chuzzle Reaction Bonus is just like a normal game of Chuzzle. Once triggered, by three or more Chuzzle Reaction Scatters, it will take you through to a puzzle screen where Chuzzle's will fall and potentially create winning combinations. The more you get the bigger your win. There is also a simple Pick Me Bonus, which occurs when you see three or more of the bottle bonus symbols. Pick one bottle to reveal a winning prize. It seems fairly obvious to me that the Chuzzle slot game is following up on the huge success of the video game and that it is likely to attract a loyal group of avid Chuzzle fans. I quite openly admit that this is not a game for me and I have only spent time playing it to understand the mechanics of this slot; however, I can see how it might appeal to more casual slot players. There is a good chance that you will also like the Bejeweled 2 slot game if you have enjoyed this.